It has come to our attention that the momo challenge has been reportedly appearing in many different forms across social media, apps and online games. This type of unpleasant and unnecessary hacking of children’s usual protected sites can create panic and distress amongst children in schools. Please refer to the attached guide from the National Online Safety website. Any queries or concerns, please do not hesitate to ask. Head Girl, and Anti-bullying Ambassador / Student Parliament member collected the Wise Up Gold Award 2019 on behalf BCA Staff and Students. 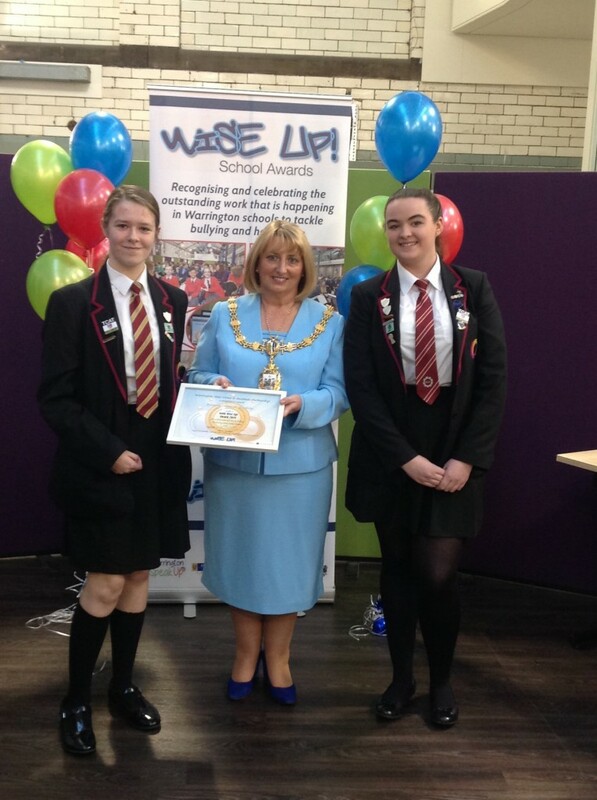 Wise Up is an annual awards scheme that looks to recognise and celebrate the excellent work that Warrington schools are doing to tackle the issues of bullying and hate crime. To be part of the Wise Up Awards, school councils are invited to submit a completed questionnaire that invites them to share the work they are doing. Schools are then invited to attend the Wise Up Awards Ceremony where they are presented with Platinum, Gold, Silver or Bronze Awards. Platinum and Gold awards are presented to schools which demonstrated outstanding practice. 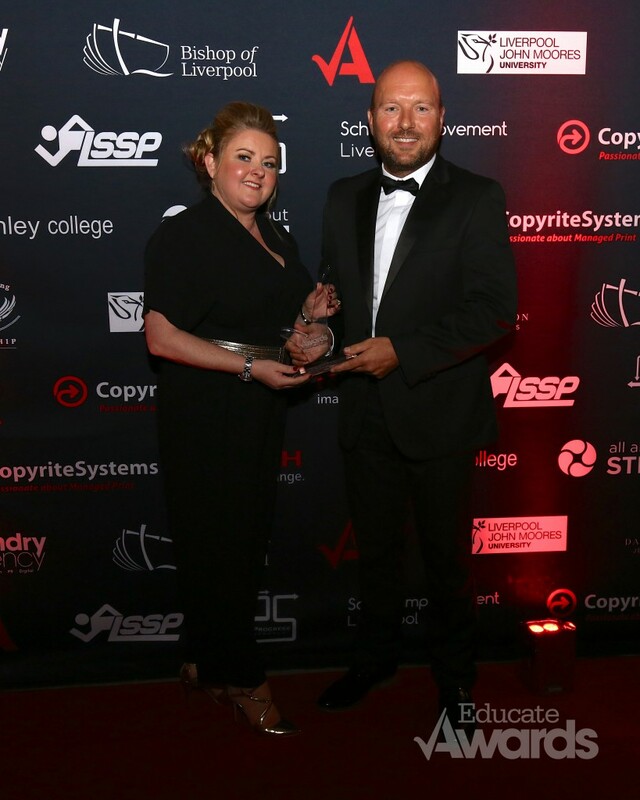 BCA and United Utilities ground-breaking project scoops major STEM award! 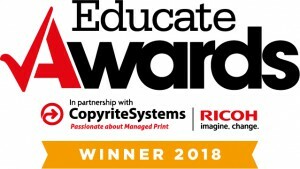 A pioneering partnership to make Warrington a hotbed for new engineering talent has picked up a top NW education award. Beamont Collegiate Academy’s 16-week link-up with water company United Utilities gave 64 young teens a yearning for learning and earned a prestigious Educate Award in a ceremony at Liverpool Cathedral on November 16. The Masterclass initiative was named as Educate’s top school science, technology, engineering and mathematics (STEM) project after interest in engineering among participants soared. The project – which pitted teams against each other to solve a real-life engineering conundrum – is now being repeated with an emphasis on attracting girls into science. Around two thirds of the youngsters recruited for this year’s masterclass are female. 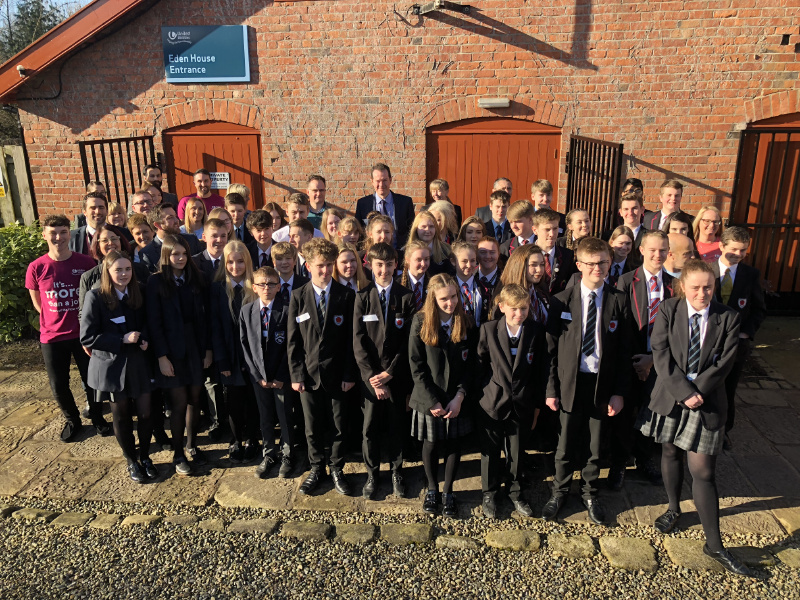 United Utilities social impact manager Lynn Johnson said eight teams of Year 9 and 10 pupils from Beamont, Bridgewater, Sir Thomas Boteler and Penketh high schools worked weekly with the company’s graduate engineers. Their challenge was to devise a scheme to find and pipe water from the Cumbrian fells to a fictitious new community centre in Coniston. Masterclass was the brainchild of TCAT Leaders Keiron Powell and Chris Hillidge, who approached United Utilities and Engineering lead, Jimmy Ingman, was invited to spend a week at the company’s HQ at Lingley Mere touring engineering disciplines and talking to experts. 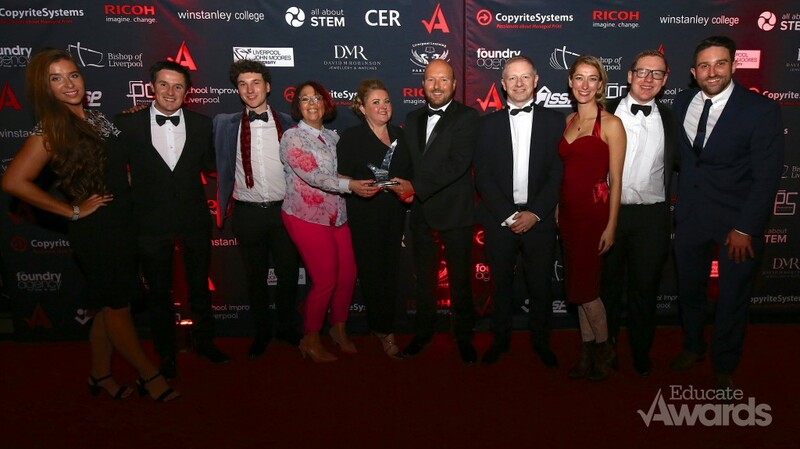 It was put together on behalf of The Challenge Academy Trust (TCAT) which incorporates the four participating schools and Beamont Collegiate Academy – the UK’s only STEM Assured Status high school. Principal of BCA, Mr Andrew Moorcroft said ‘Working with a leading water supplier like United Utilities was a huge bonus. The project we generated is the first of its kind from within any multi academy trust nationwide, that set out to develop industry-led, education-inspired project-learning from across the various STEM disciplines. The award is the icing on the cake,” he said. “Beamont Collegiate Academy are dedicated to STEM with inspirational projects, trips & opportunities, amazing children & clubs and awesome staff that go above & beyond. Congratulations!” – All About STEM. This is an informal event that will take place between 4:30pm and 6:00pm. Light refreshments are available and an opportunity for you to catch up with old friends and teachers. The certificates you collect on the evening are your formal GCSE Certificates as produced by the Examinations Board and should be collected and retained by you. You will be asked to show these certificates during future interviews by employees or colleges. All year 11 GCSE Examination results will be available for collection from the Academy between 09:30 to 11:00 am on Thursday, 23rd August, 2018. Pupils (candidates) should collect their own results. We do however, recognise that it is not always possible for pupils to collect their results personally. In these instances the Year 11 pupil may elect to have their results given to another person (3rd party) . In this case the Y11 pupil should complete the appropriate sections on the letter issued to them on their leaving day, indicating who will collect the results. The 3rd party must present this slip on results day in order to collect the results. Please be advised that the 3rd party collecting the results MUST bring photographic identification with them on the day, as failure to do so will result in the centre not being able to release the results.